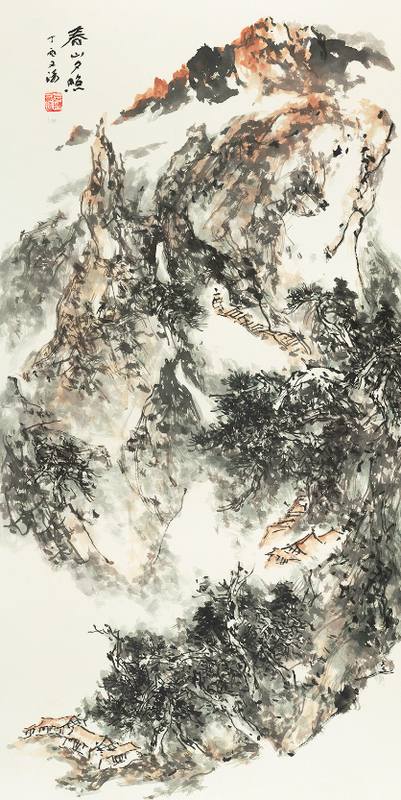 The exhibition presented 120 art works of 46 artists that are master of Asian traditional painting. The first two days were organized for diverse cultural exchanges among the participating artists, staff, and audiences. Korea-China Calligraphy & Painting Exchange Exhibition began to celebrate the 25th anniversary of Korea-China diplomatic relationship in 2017. From January 10, 2018 to December 14, 2018, the first exchange exhibition, <Fusion & Art, China-Korea Culture and Art Master Exchange Exhibition of Calligraphy and Painting Works> was successfully finished at Hunan Traditional Chinese Painting Museum in Changsa, China. In return, <Korea-China Calligraphy & Painting Exchange Exhibition: Beyond the Horizon> is presented at Ganenung Art Center from November 27th to December 2nd, 2018. 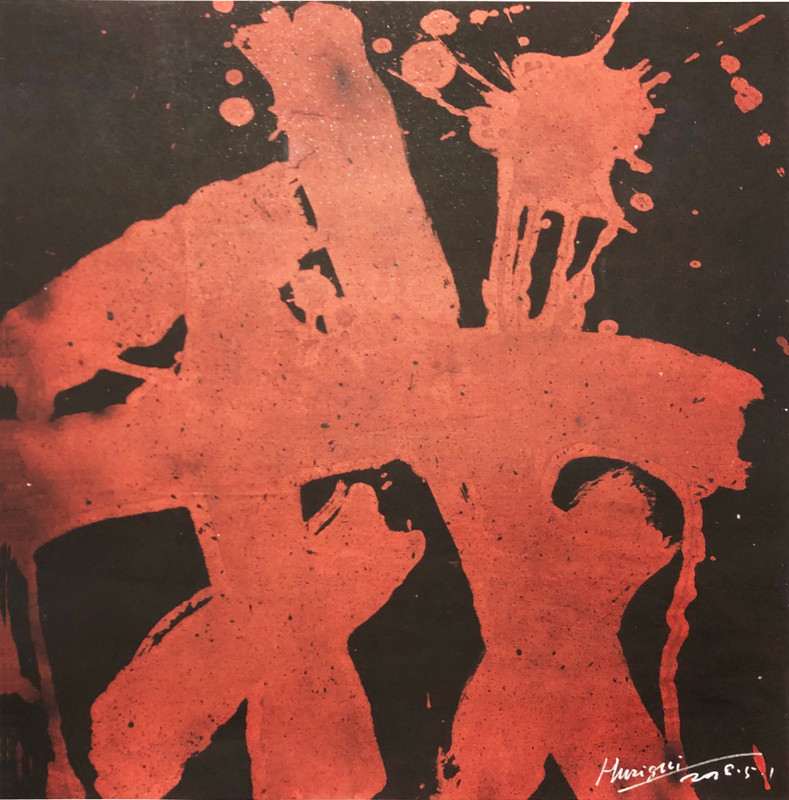 <Korea-China Calligraphy & Painting Exchange Exhibition: Beyond the Horizon> features 69 works of 49 artists who have been actively working in their contemporary art scene, ranging from emerging Korean artists, professors, to first-rate artists representing China. 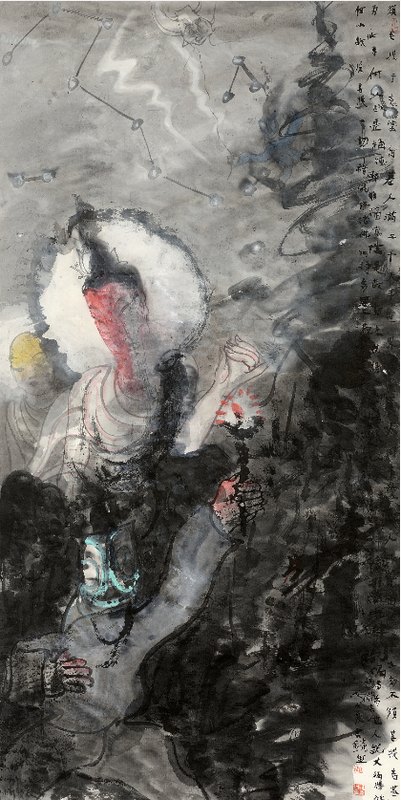 It is meaningful that the exhibition vividly portrays the contemporary scene of Asian calligraphy and painting encompassing its tradition to transition by putting together the artworks of 20 Chinese artists working in Hunan region where the traditional painting and calligraphy have been strongly maintained, and 29 Korean artists presenting different directions of Asian painting and calligraphy through their own modernized interpretation. Further active communication and development between the artists and people in the field of art, and featuring the endless world of Asian calligraphy and painting will be feasible in the future as solid relationships are built upon continuous exchange of exhibitions. Korea-China Calligraphy & Painting Exchange Exhibition is cooperated and organized by Bomnamu Art and Hunan Guoding Culture Communication Co., Ltd.
<Acknowledging the Differences> presents eight artists from Italy and Korea. The Korean artists; Jun Young Kang, Bo Mi Kim, Dae Chul Lee, and Yusun Jung, in their mid-careers, feature new works with their unique visual languages crossing East to West. 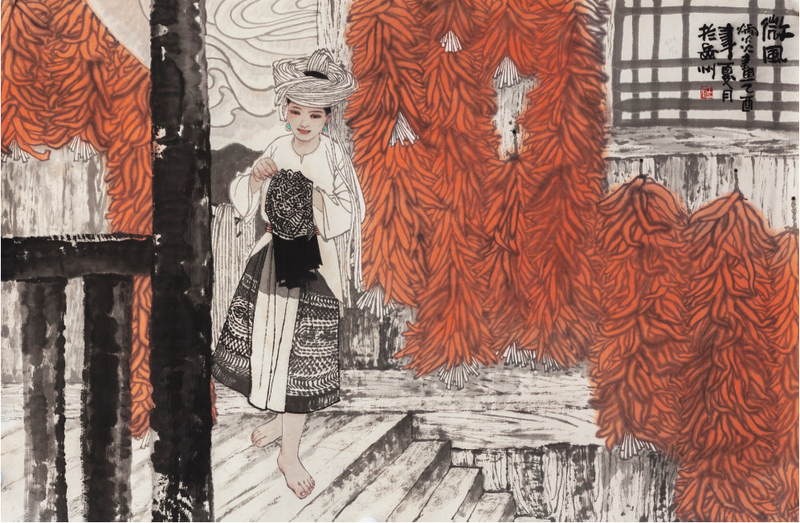 The artworks are closely attached to the artists’ personal experience and life events in which they express in diverse media in range of Korean traditional ink to lasor-cutting. Jun Young Kang creates a story based on questions arose from his crucial life events, encompassing from love to making choices which everyone cannot avoid. The crossing paring of painted images, messages, ceramic, and traditional Korean pottery creates refined yet unconventional works of art. In his newest work, ‘The first duty of love is to listen. <OXO and XOX>’ (2018), Kang has begun to investigate and convert the appropriateness of choices that one freely or irresistibly makes into signs. 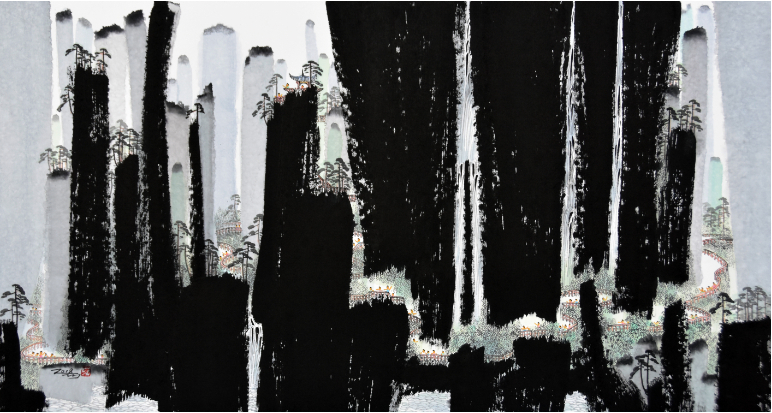 Bo Mi Kim’s Korean traditional ink paintings portraying magnificent yet serene scenery of pine trees are fundamentally based on Orientalism; a human being is a part of nature and the nature itself at the same time. The works are silently powerful and expand beyond the boundaries of canvas. 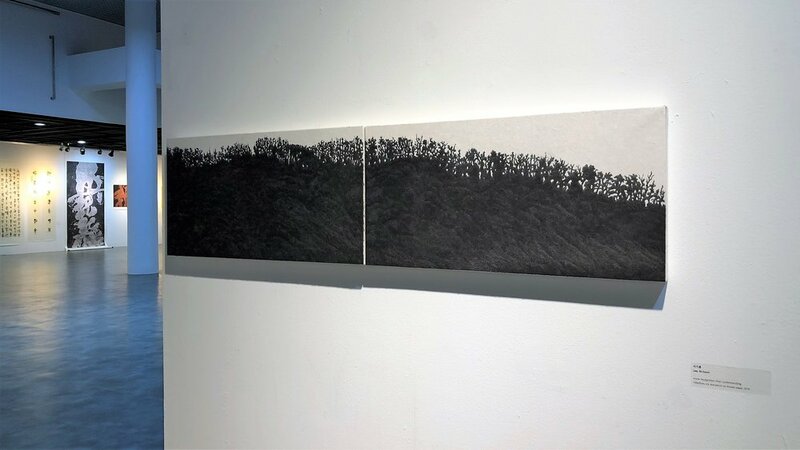 While Kim’s earlier works focus on herself, these new works encompass the relationships with others based on her appreciated findings such as the soil, the root, the pine needles, and the forest. 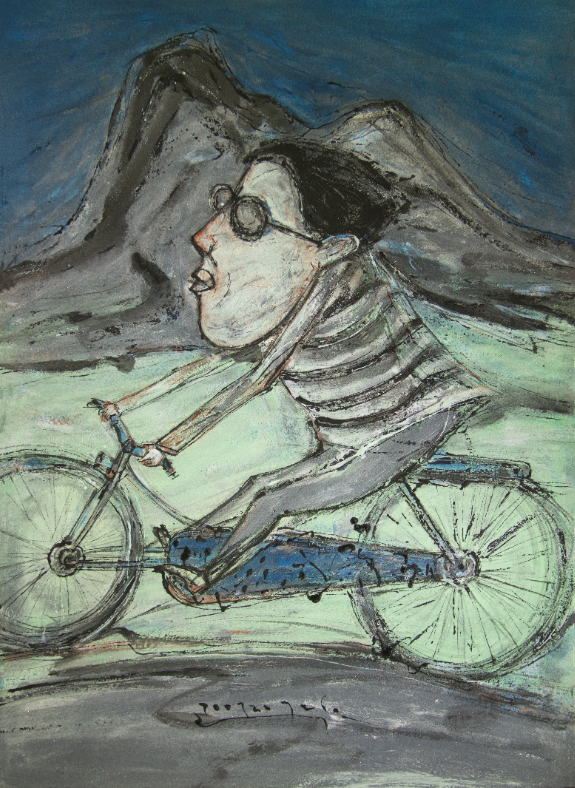 The coexistence of life and death in nature is vividly expressed in Yusun Jung’s vibrant paintings. Jung feels the universe in her garden where she observes flowers every morning for over ten years as her mundane routine. The recurrence of flowers blooming and fading is never the same in shape and one doesn’t exist without the other just like our life being full of contradiction. 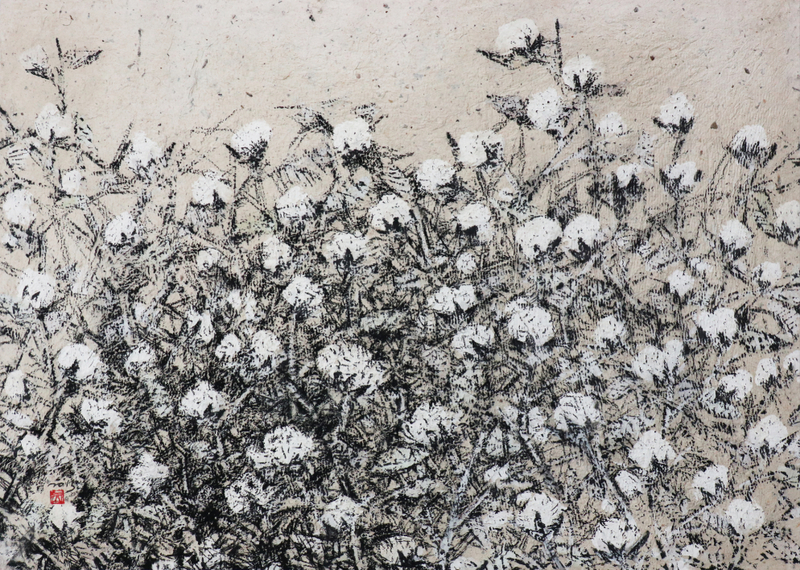 Her persistent attitude is not only the subject matter but also the medium, pigment powder, which requires intense labor and complex process to appropriately depict the energy of nature. Dae Chul Lee questions the existence of truth through the most frank and unrefined spoken out words reflecting his emotions in certain situations. He uses diverse techniques such as scribbles, carving, and lasor-cutting. Lee’s visual language is candid with a bit of a twist. In ‘Scratch Documentary #1-(There’s nothing I want to say)’ (2018), the artist’s physical markings of carvings for thousands of times is explicitly expressed. On the other hand, certain alphabets are intentionally hidden. Therefore, the gap between the two alludes to true meaning of the word. Exhibiting artworks of the Korean artists are deeply rooted in enlightenments and doubts of their life. Anyone must have or would have witnessed what the artists have experienced at least once in his or her life time. These fundamental questions are definitely not limited but expands into the world.